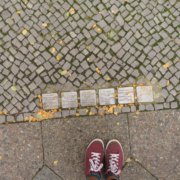 While reflecting and discussing our three-day trip to Berlin, we realized that we had one thing in common: nothing struck us quite as much as our two visits to different sections of the Berlin wall. 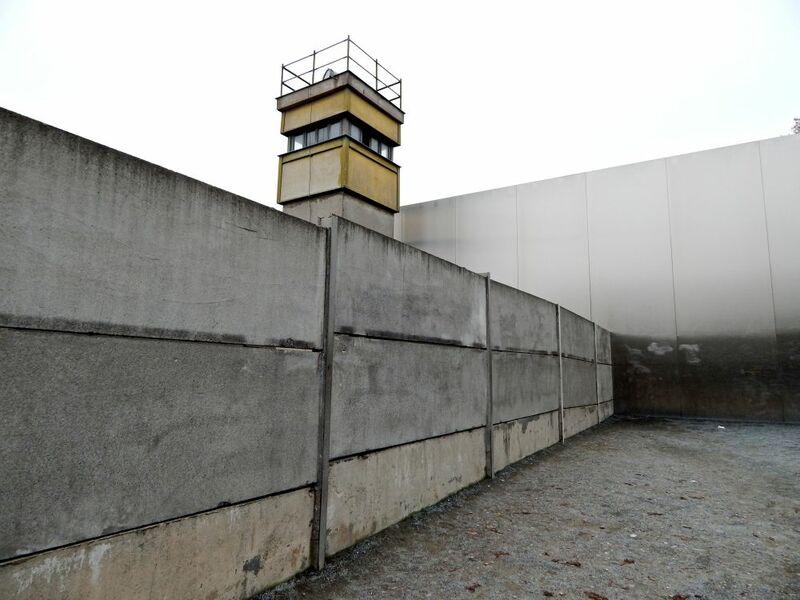 Although we had multiple guided tours and discussions, the existence and eventual fall of the Wall dominated our thoughts. In our experience with two very different memorials in the same city, we were able to see the contrast between memory as an authentic work in progress by the people and that of the government constructed past. 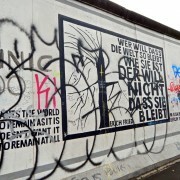 Our first stop of the trip was a visit to the Berlin Wall Memorial. 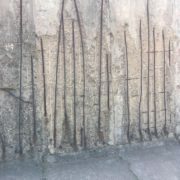 Sections of the wall have been preserved to show their once existing oppressive nature, however, that is all that they show. We did not find much of an explanation besides what we could learn from a high school textbook. 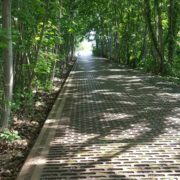 There was no emotional connection to this space despite it being a place of tragedy and drastic oppression. We each were most impacted by different aspects of the memorial. Kelsey: For me, the name, “the death strip” is the most striking part of the entire exhibit – the name, not the place. Samantha: The most impactful aspect of the Memorial tour was the discovery that in that space laid the only street still divided by the Wall, although no longer physically standing. 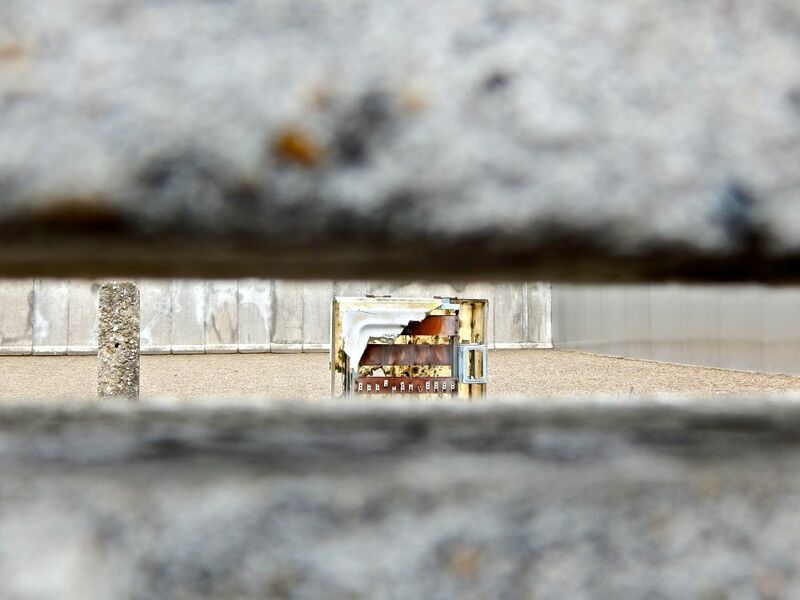 It wasn’t the fragments of the Wall that remained that impacted me, it was knowing that despite the deconstruction of the Wall the city could not be completely unified. Although we were struck in the moment, the memorial was not in its essence what made us have an emotional connection. It was the sheer presence of history remaining in a modern space that spoke to our emotions. 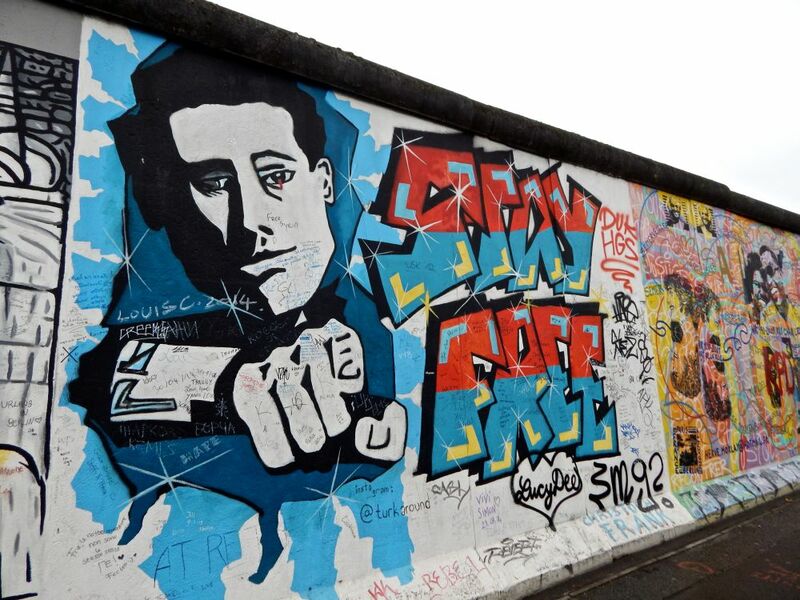 The Berlin Wall Memorial is funded and controlled by the German government. Throughout the tour, this could not have been clearer. 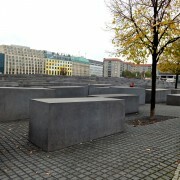 This monumental memorial, as defined by Mary Rachel Gould and Rachel E. Silverman in Stumbling Upon History: the collective memory and the urban landscape, was distinctly a government construction of how the unified government wants the memory of the German Democratic Republic, or the GDR, to be portrayed in the modern world. Furthermore, government control was evident through our tour guide’s performance. The tour felt scripted and when prompted, she could not diverge from her script in order to answer questions in what seemed like a genuine manner. This production by the state government made the existence of memory completely distant and staged. 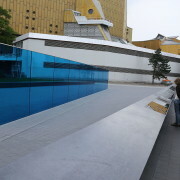 Almost every other memorial or space of memory has made the past more tangible, but this one was completely opposite. It all seemed like a façade until we saw the Eastside Gallery the next day. We walked for what seemed like hours to approach the wall along the river. Once we turned the corner, we immediately saw the extensive stretch of the colorful wall. At first glance it was impossible to understand how this beautiful wall could have ever stood for something so terrible. It is not until we took a better look at the paintings that we could see the powerful political statements and controversies embedded within the artistic renditions. The gallery artwork ranged in meaning, from neoliberal paintings supporting the preservation of the Earth to ones that implied strong political warnings. One example is the picture of a man, pointing his hand, with the words, “Stay Free.” Another was a man’s hand painted in the form of a “thumb’s up” with a chain connecting his thumb to his wrist. This was painted by Michail Serebrjakow of Moscow and is called the “Diagonal Solution to the Problems.” We took this to imply that leaving the GDR era was a positive step with the apprehensive approval of Russian and other foreign countries. They were free but not yet truly free. 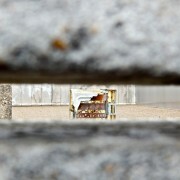 There was still work to be done, which is exactly what the artists of the Eastside Gallery intended to do. 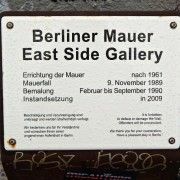 On the website of the Eastside Gallery, the intention of the gallery is described as, “giving the Wall a new face in a new time.” This vernacular memorial, also defined in Stumbling Upon History, was created by everyday artists that wanted to celebrate the Fall of the Wall and the forward movement of their country. These people gathered to create the gallery on their own accord. It was a type of movement and a way to strengthen morality without leaving it up to the government. This was their personal way of coming to terms with the suffering of the past. Furthermore, it was a way for not only German citizens, but people from all across the globe to actually move on. 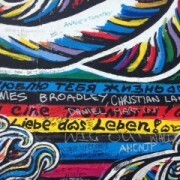 In this sense, the Eastside Gallery is a huge expression of reconciliation by the peoples’ standards. Kelsey: The humanity of the place is what makes it actually resonate as a place of memory. These people stood for something and wanted to be heard, so they went out and refused to be silenced. This was a celebration and a warning to future regimes. Samantha: The sheer length of the East Side Gallery was shocking for me. Here was this wall that stretched for what felt like forever, covered in various artistic and cultural styles. It just seemed so raw, so unique, and so beautiful. Each painting made you think, some led you to consider the politics of the wall, others of the importance of moving forward into a space that may not be so comfortable. 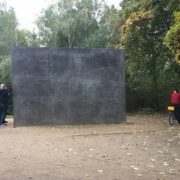 Despite the horror that this wall represented it became a symbol of beauty and power. The most evident difference between these sites of memory is the respective government involvement. On the one hand, we have a strong state force and support putting massive amounts of money towards one project. 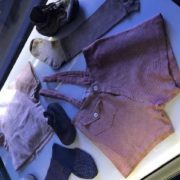 This seems like it is just a public display put forth by the government in order to show that they are making an effort towards reconciliation and remembrance. 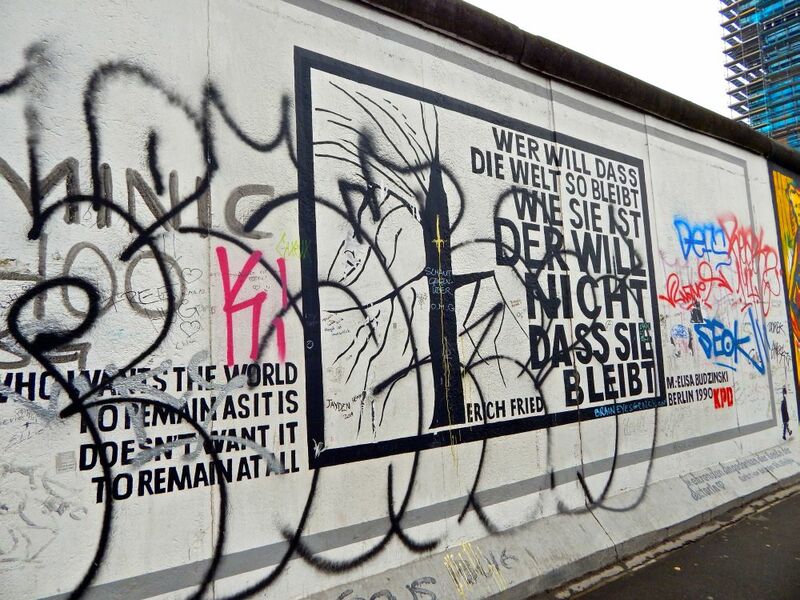 On the other, we have minimal evidence of support by the government in preservation of the Eastside Gallery. The only effort is putting up small signs to prohibit the defacement of the artist’s work. The effort is clearly not enforced as the gallery has been widely vandalized by tourists for years. The stark contrast between the vernacular and monumental memorialization of the same past narrative demonstrate the difference in reconciliation as shown by individual memory and public memory. 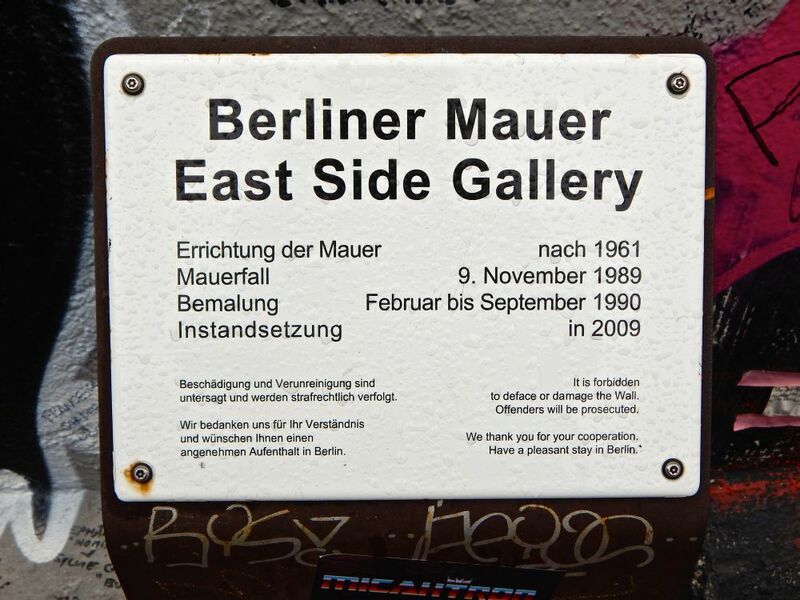 The Eastside Gallery shows memory work by average citizens that is constantly changing and is ongoing. It is memory work. 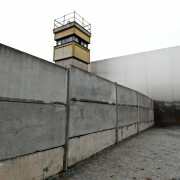 The Berlin Wall Memorial, in contrast, is a demonstration of active government dictation of memory. This is how the government wants the world to remember, but by our understanding, this is not a definition of memory.